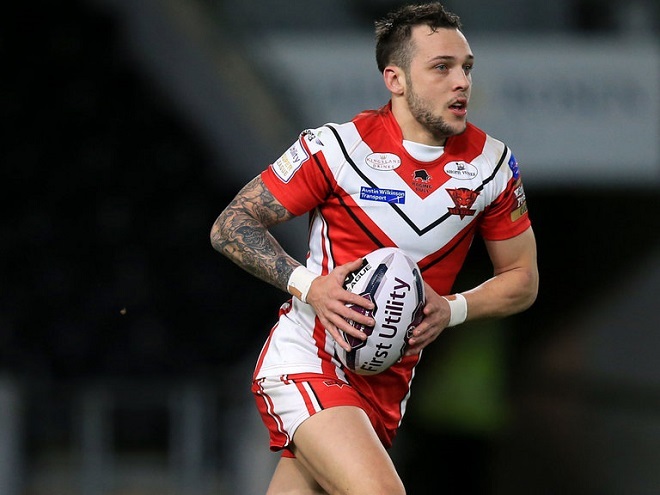 Wakefield Trinity will entertain Salford Red Devils at the Beaumont Legal Stadium on Sunday, as they look to push on from their victory over St Helens last weekend. Wakefield coach Chris Chester will give debuts to new recruits Mitch Allgood and Dean Handley, in place of Joe Arundel and Chris Annakin. They are also without their skipper Danny Kirmond, who sustained a knee injury in the game against St Helens. For the visitors, they have Justin Carney back after a two-game ban, along with Ben Murdoch-Masila and Nail Evalds, who both make their 1st appearance of the season as the Red Devils look to improve on their record of 2 wins from 4 games in 2017. Wakefield: Mitch Allgood, Tinirau Arona, Matty Ashurst, James Batchelor, Mason Caton-Brown, Anthony England, David Fifita, Liam Finn, Scott Grix, Dean Hadley, Craig Huby, Tom Johnstone, Reece Lyne, Jacob Miller, Mikey Sio, Bill Tupou, Anthony Walker, Sam Williams, Kyle Wood. Salford: Adam Walne, Ben Murdoch-Masila, Craig Kopczak, Gareth O'Brien, George Griffin, Greg Johnson, Josh Jones, Junior Sa'u, Justin Carney, Kris Welham, Kriss Brining, Lama Tasi, Lee Mossop, Logan Tomkins, Mark Flanagan, Michael Dobson, Niall Evalds, Olsi Krasniqi, Rob Lui.